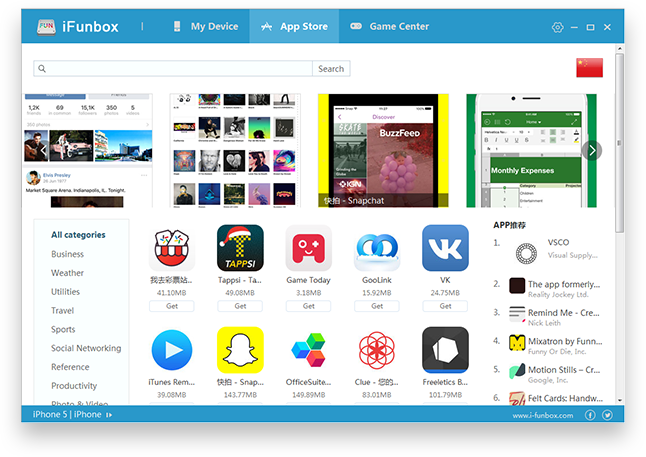 ﻿ iFunbox | the File and App Management Tool for iPhone, iPad & iPod Touch. 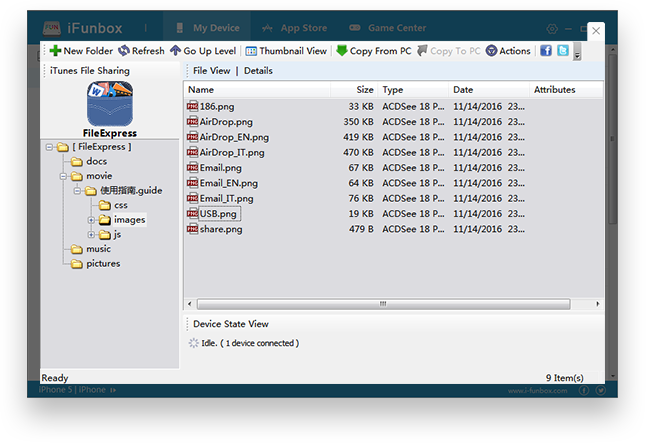 Like iPhone USB Tunnel Suite, USB Tunneling maps opening TCP ports on iDevices to PC, which allows windows program on PC connecting to them for communication. 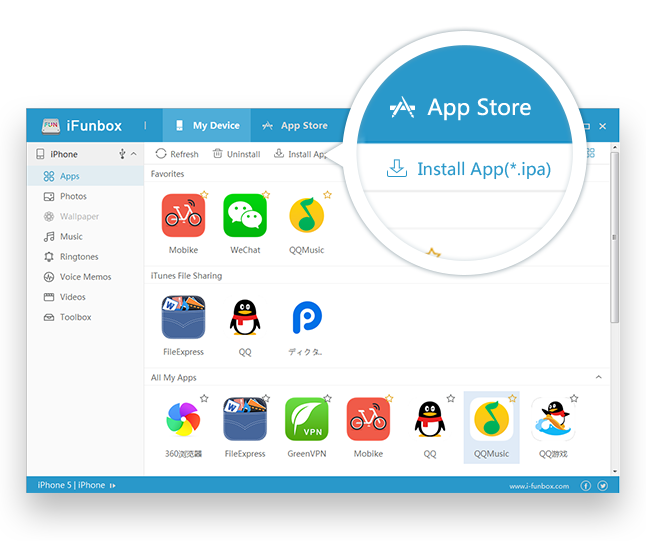 iFunbox-Store divided into "application store" and "game center" two modules，iFunbox-Store will be based on your favorite games or interested in the application, for you to recommend more new, strange, special application.